Like most people, I found the story of Norton High School wrestler Deven Schuko and Dighton-Rehoboth wrester Andy Howard to be heartwarming and moving. Andy, a special needs student with Down syndrome, was looking for a match and Deven, who hadn’t lost a match, agreed to wrestle him. Deven then let Andy win the match. In the process, Deven demonstrated maturity, leadership, and kindness. It was widely praised as a great act of sportsmanship. I see this kind of praise of sportsmanship a lot in local press. It makes sense: people love these kinds of stories. I love them; they are uplifting. That said, there is an aspect these kind of stories that I find troubling. There is an element of patronizing that partly undermines the moral value of these acts. Does Deven show Andy appropriate respect and honor by letting him win? I am not entirely sure, but since Andy, his friends, and family seem to appreciate what Deven has done here, I have no quarrel on that front. Putting that question aside for now, I want to focus on the claim that this even an act of sportsmanship. Stipulating that Deven’s act was praiseworthy, it is nonetheless incorrect to label it as an example of sportsmanship. Such acts are more about how we ought to live together as human beings; and less about the ideals of sport. Sportsmanship and morality are not the same thing. There are obvious overlaps and parallels, but doing the right thing is not necessarily the same thing as good sportsmanship (and, I suppose, vice-versa). It is a mistaken to label any good action by an athlete as a good sportsmanship (this holds, as well, for any bad action of an athlete as bad sportsmanship). This points us to the important question: what is sportsmanship? At the core of most theories of sportsmanship is the view that sportsmanship governs or guides the participants’ actions within and related to the sporting contest. It is not merely the following of the rules of the contest; the focus is on the action within the domain of those rules. It is about how, in the context of the contest, the participants comport themselves; how they treat and deal with the other participants; and how they treat and deal with the officials, fans, and coaches. So why isn’t Deven’s action in this particular instance a case of sportsmanship in addition to being virtuous? This wasn’t a true match (consider: would a college recruiter consider this match qua match as part of Deven’s wrestling track record?). It is more of a play-act, an exhibition, or a staged event. There is no criticism in that. But Deven’s action comes from, and is justified by, a concern about morality and generosity towards Andy; it doesn’t, primarily come from the nature of being a participant in sport. My point here is not at all to criticize Deven or Andy. As a philosopher, I believe it is important to understand the concepts we employ and to employ them correctly. I know to many this sounds like empty semantics, but applying sportsmanship too broadly or too narrowly can lead us to misunderstand it. This can mean that it becomes less effective as normative guide of our behavior. Here’s a potential concern. In the case of Deven and Andy, it seems like Deven is showing proper generosity and respect to Andy. But this would not always be the case; indeed I think this is the proverbial exception that proves the rule. Imagine a different scenario. Drake is like Deven: he is one of the top wrestlers in his state. Andrea is female wrestler but there are few females in her weight class against whom she can compete. She hasn’t competed much and has never won. She is looking for one more match before graduating. Drake decides to accept a match. Is the lesson he takes from Deven and Andy that he should let Andrea win? That would be the wrong lesson (imagine Andrea’s proper outrage at learning of Drake’s plan). Sportsmanship tells competitors to treat opponents with proper respect by offering appropriate effort and competition. Drake, in this case, ought to match Andrea’s effort and compete against her on the basis of fair and equal respect for each other and the sport. But this is not what is going on with Deven and Andy. Deven is providing for Andy the experience of what it would be like to win a wrestling match. Given this context, there is no demand on Deven that he offer the requisite effort and competition. In other words, it is not a case of sportsmanship; sportsmanship is not the relevant concept. 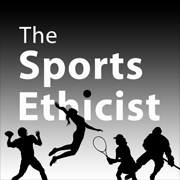 This article is amazingly thoughtful and is, in my mind, exactly the kind of work that’s valuable in the area of Sport Philosophy. I just spent 30 minutes discussing it with my Ethics Class and it hit on so many important yet subtle issues relevant not just to the sporting world but also our daily lives. Thank you! I am glad it was of some use to you and your class.